Syllabus of the Online Course (Subject): Foreign Trade and Business in Botswana - Gaborone. Higher Education programs adapted to Batswana Students. Description of the Course / Subject (Doing Business in Botswana). 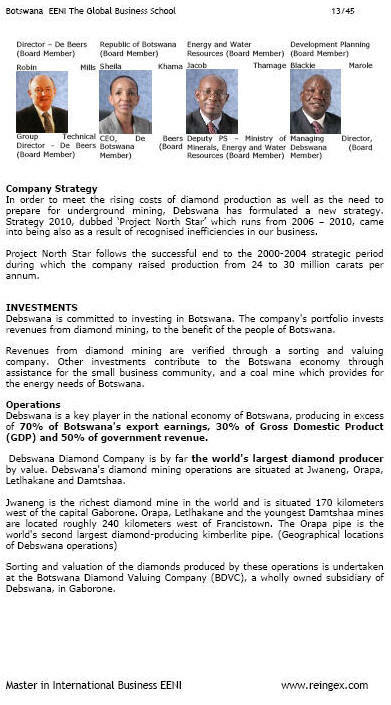 Botswana: Diamonds (1/3 of GDP). A landlocked African Country. More information about Botswana (African Portal - EENI Business School & HA University). Botswana belongs to Southern African Economic Area (African Civilisation). Debswana Diamond Company is a sole partnership between the Government of the Republic of Botswana and De Beers Centenary AG. The Republic of Botswana has preferential access to the European Union through the Cotonou Agreement and to the United States through the African Growth and Opportunity Act (AGOA). 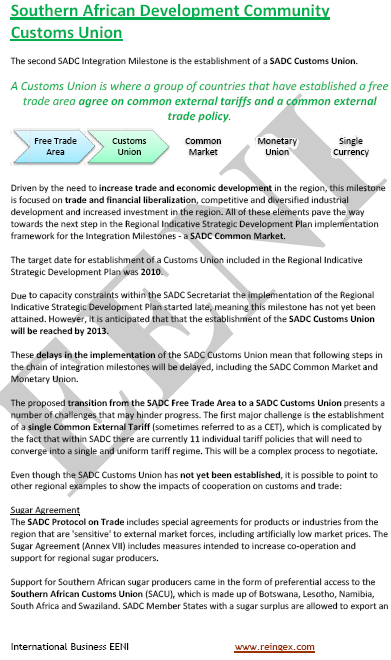 Botswana is also a member of the Southern Africa Customs Union (SACU): South Africa, Botswana, Namibia, Lesotho, and Swaziland). 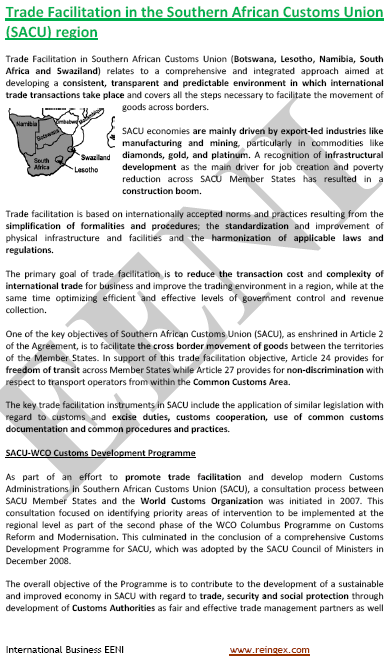 The Southern Africa Customs Union is negotiating several trade agreements with other regions. 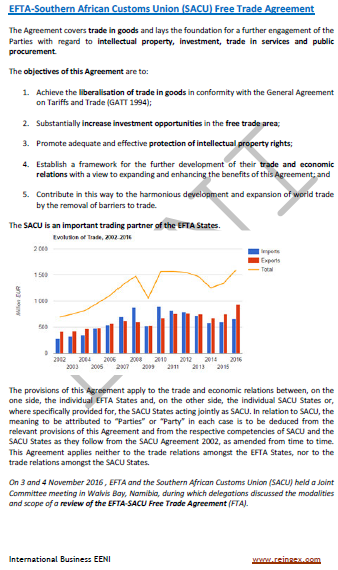 The Southern Africa Customs Union is also negotiating Free Trade Agreements (FTA) with the European Free Trade Association (EFTA), MERCOSUR, India, and the People's Republic of China. Botswana is also a member of the World Trade Organisation (WTO). The Republic of Botswana is a member of the Southern African development Community - an international trade organisation, which gives access to a potential market of 200 million people-, the Southern African Development Community has its headquarters in Gaborone.